The Kaiser Permanente Community Fund (KPCF) at Northwest Health Foundation was founded in 2004 with an initial $28 million investment by Kaiser Permanente to improve conditions for health. As we learned how to best partner with community organizations, we made pivotal decisions that changed how we operated. In this story, we tell how Verde taught us to commit to growing organizations, not just funding programs. Cully residents at a Winter celebration at the start of construction of Cully Park. For years, Wendy Yah-Canul dreamed of a neighborhood park for her children to play in. As a resident of the Cully neighborhood of Portland, Oregon, Wendy worked with her neighbors to transform a former landfill into the park she dreamed of. At the beginning, she helped test the soil to make sure the land was safe for a park. Seven years later, Wendy joined with thousands of people to celebrate the grand opening of Cully Park, which has slides, a climbing wall, and plenty of green space for families to exercise in. The park even has ADA-accessible play equipment, making play more equitable for all of the neighborhood’s children. 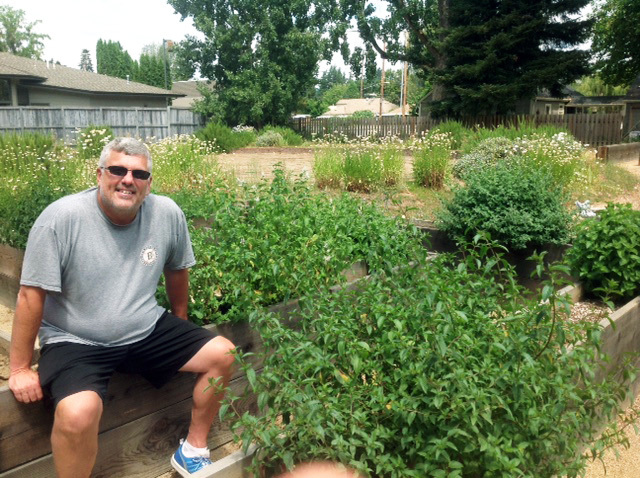 Cully Park is just one success story of the Living Cully collaboration. Living Cully uses sustainability as an anti-poverty strategy, advocating for environmental policies and opportunities that bring new resources to residents of the Cully neighborhood. Verde, one of the organizations involved in the collaboration, has also created a plan to bring renewable energy to the neighborhood and worked to ensure that 75% of the contracts to build Cully Park went to women- and minority-owned businesses and social enterprises. The successes of Living Cully relied on policy changes that shaped priorities and practices of city agencies. Prior to this funding, Verde’s executive director was able to respond to new opportunities and further develop partnerships with other organizations led by communities of color. It came at a time when Portland had a new mayor committed to sustainability and when the federal government provided new economic stimulus resources dedicated to neighborhood development. With this funding, Verde’s executive director was able to respond to new opportunities and further develop partnerships with other organizations led by communities of color. It came at a time when Portland had a new mayor committed to sustainability and when the federal government provided new economic stimulus resources dedicated to neighborhood development. “The funding provided freedom for us to explore new opportunities, to experiment, and to bring other organizations into collaboration for that work. For the first time, we were able to create partnerships with multiple organizations of color around environmental policymaking,” said Alan Hipólito, director of special projects for Verde. With the additional capacity, Verde was able to join Living Cully and work with the Coalition of Communities of Color to put environmental justice goals in their strategic plan and hire their first environmental justice staff position. Kaiser Permanente Community Fund continued to fund Verde as it grew its advocacy work, providing $225,000 to implement new organizing and program efforts. Over the last few years, Verde has grown in their role as a collaborator and driver of systems change. In November 2018, Verde and their partners worked to successfully pass a Portland ballot measure that will generate $30 million a year to hire people of color and people with low-incomes to create clean energy and sustainable housing. “The Portland Clean Energy Initiative was the result of greater collective environmental justice capacity among communities of color. This capacity was supported by funders who allowed us to grow as a community and as an organization. Some of our experiments were incredibly successful, and even the ones that didn’t work still made us all stronger,” said Alan Hipólito. Verde taught us the power of investing in organizations and not just programs. By having resources to grow its collaborative advocacy work, Verde was able to shift public funds toward investments in both environmental sustainability and economic opportunities for low-income communities and communities of color. From new green energy projects to the ability of parents like Wendy to work in the community garden while her kids play nearby in the park, the benefits of supporting an organization through its growth can be felt throughout an entire community. When the sun is out, the children of Portland’s Cully neighborhood transform parking lots into soccer fields. The neighborhood, which shines with cultural flare and ethnic diversity, still has concentrated poverty, and an overall lack of access to nature. In fact, Cully, in outer Northeast Portland, has the lowest income per capita in the City. Many of the streets are without sidewalks and streetlights, and many more aren’t even paved. While the regional average for residents per acre of public land is about 780 Cully has over 2,780 per acre of public land. Most people in Cully agree that they need – and deserve – a park in their neighborhood. 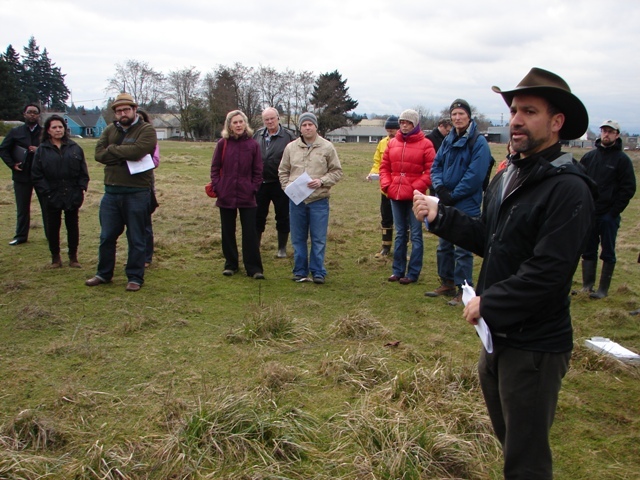 Responding to the community’s need, Portland Parks Bureau purchased a 25 acre landfill in the Cully neighborhood in 2002 with the intention of turning it into a park. After years of open houses and design meetings, the City Council finally agreed on a master plan, featuring sports fields, walking trails and an estimated price tag of up to $18 million. Although the plans were approved, funding was not. In 2010, a $150,000 Northwest Health Foundation / Convergence Partnership grant enabled Verde to develop the first stages of transforming the landfill into a flourishing community space called Thomas Cully Park. 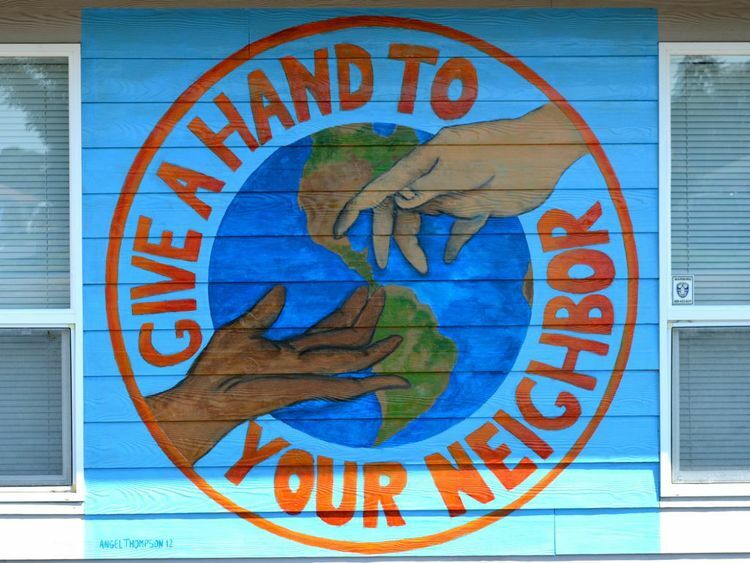 Verde works to build environmental wealth through social enterprise, outreach and advocacy. The development of Cully Park’s master plan has been a collaborative effort between community members and a coalition of local groups. The planning committee has involved the community in all aspects of the development and construction, through surveys and other methods of engagement. 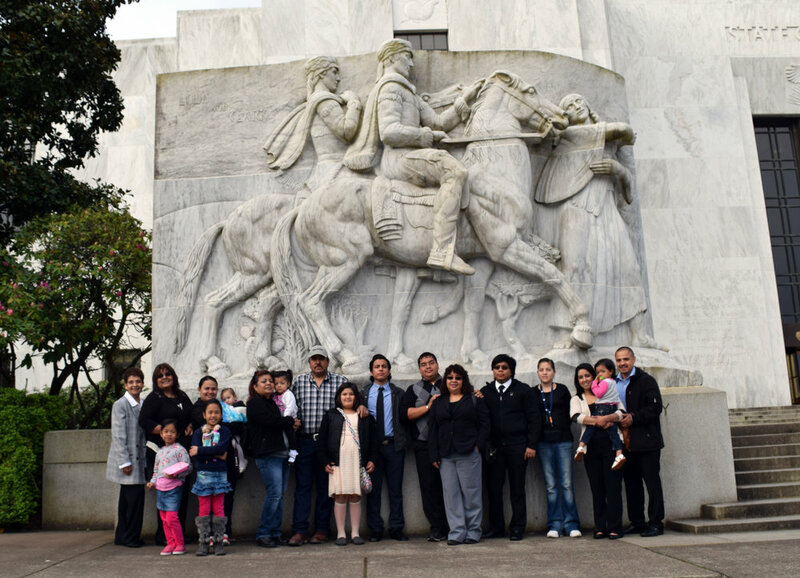 Seventeen organizations are currently part of the planning coalition, including Hacienda CDC, Native American Youth and Family Center, Rigler and Scott Schools, Department of Environmental Quality, and the Oregon Health Authority. Phase One will include a community garden, walking trails, restoration of the north slope of the park to make it habitable for wildlife, a native plant gathering area, an off-leash dog area, a nature play area, a youth soccer field and basketball court, and a 40 car parking area. “This is a replicable model for how to engage a community so the community is in charge,” he says. The first phases of the park are scheduled to begin in 2012, with subsequent activities occurring in 2013. To follow the progress of the park, visit the “Let Us Build Cully Park!” website.